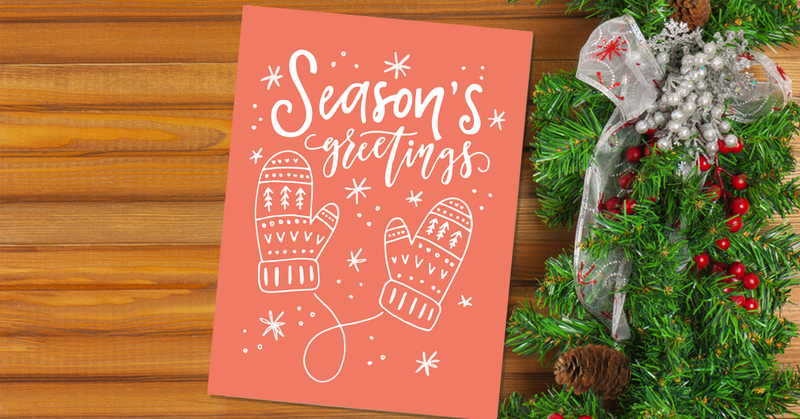 Sending out greeting cards is a long-standing tradition for many businesses during the holiday season. 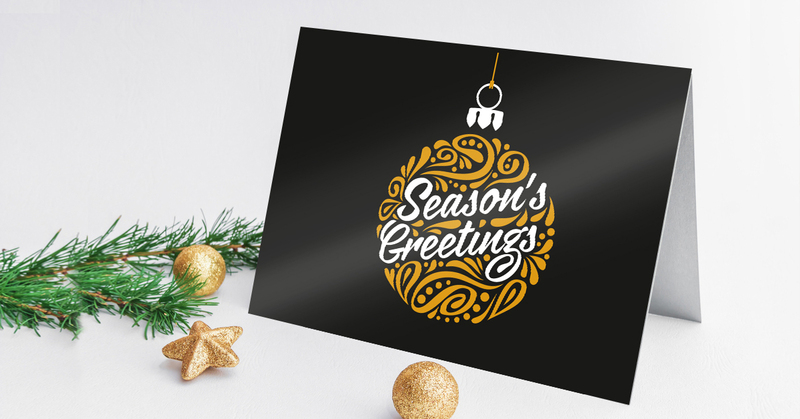 Greeting cards can help your business keep in touch with its customers and continue to build its brand through the new year. But you may want to reconsider heading to a stationery shop to buy ready-made cards. A custom greeting card that you designed specifically for your business adds a personal touch and a warmth that no store-bought card can give. Many generic greeting cards are forgotten soon after we get them, but a unique, personalized card will be remembered for a long time. It can also be fun to design your own greeting card. But DIY greeting cards have to be designed very differently depending on how you want to use them. 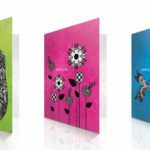 While there are plenty of similarities, personal greeting cards need a different approach from cards intended for business promotions. 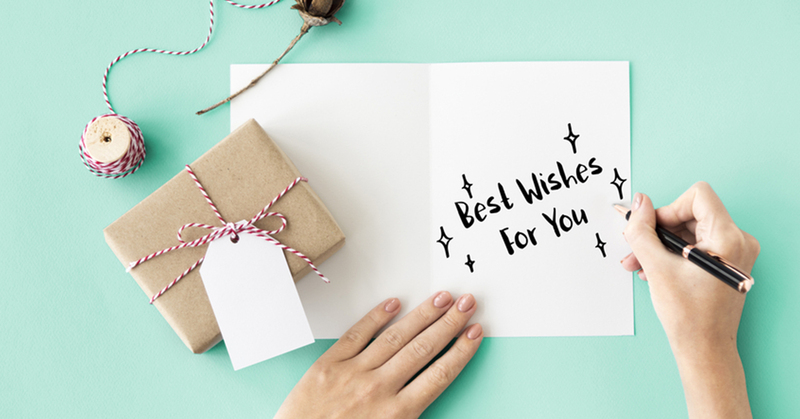 Here are a few crucial pieces of advice we’ve learned over the years about how to design and print your own greeting cards for your business. 1.) Give several weeks lead time. 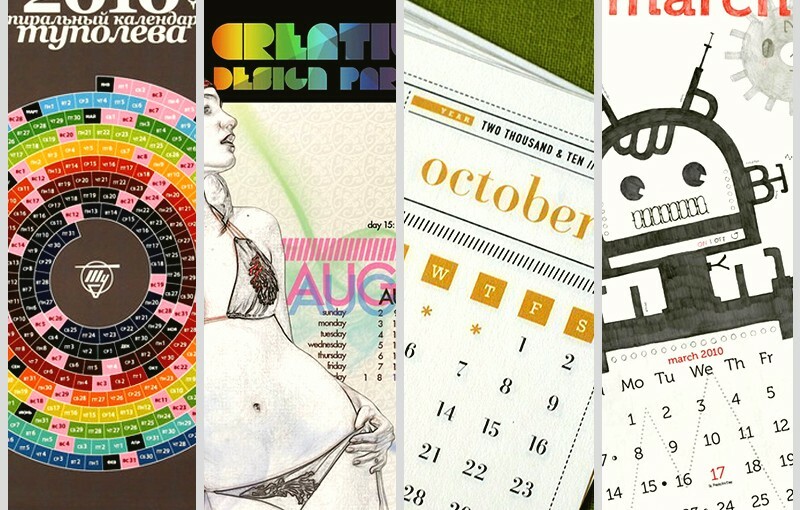 You don’t actually need that much time to design your own greeting cards. However, it’s always prudent to start early. 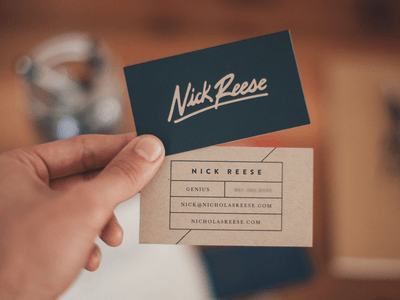 Although it might be possible with reasonable design and copywriting talent to create one in half an hour, you have to give your audience the time and opportunity to find your card. This means completing and sending the design reasonably ahead of the actual holiday. 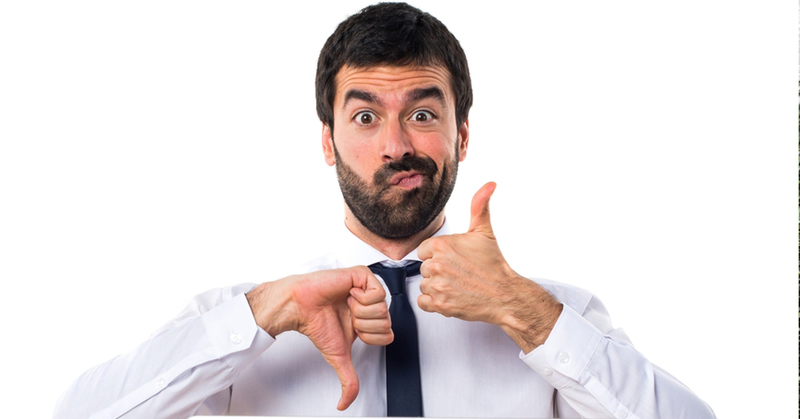 We all know situations where people who we thought should know better grossly misread their audience. When it comes to delivering a greeting card design that works, you can never know too much about the people who will get them and the people they might give them to. 3.) Leave space for writing. Avoid creating illustrations over critical areas where captions, notes, and headings might be. 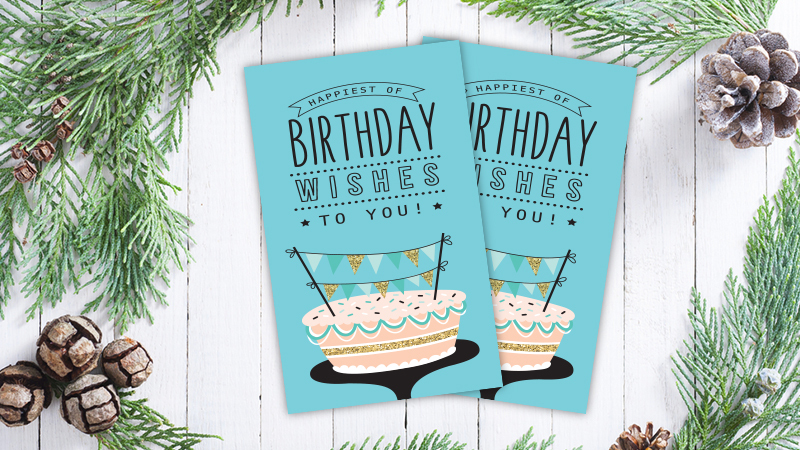 While you are free to print your own greeting cards with whatever design and layout you want, consider leaving enough space for a handwritten message. 4.) Make your subject obvious. Design your own card to make it simple for your audience to understand. 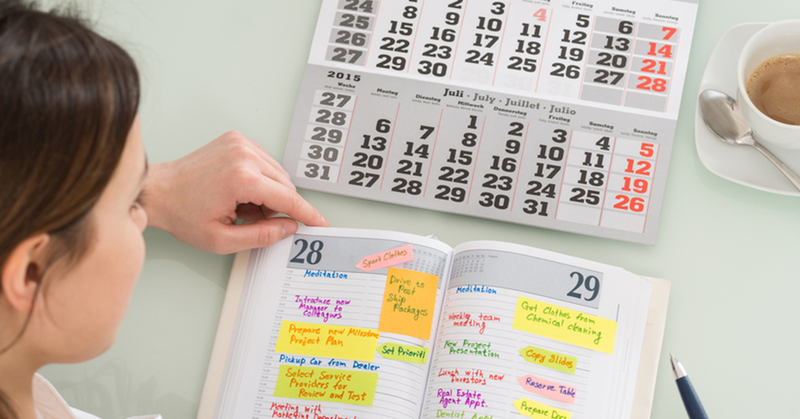 If it takes more than a moment to understand your greeting card, consider a redesign. If it’s a themed card for a specific season or event, this should be obvious from the first glance. 5.) Consider vertical or horizontal layouts. Vertical layouts have a conventional look and tend to more space efficient. These can be better for a more visually-balanced proportion of the card. 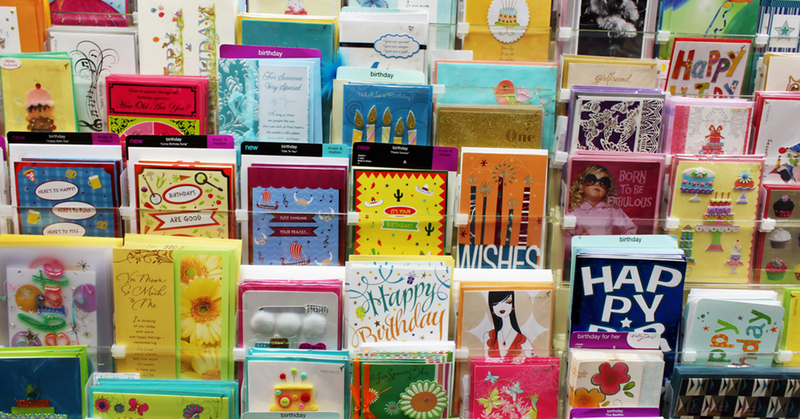 Most store-bought greeting cards are also displayed on racks, and subsequently, most people are used to this layout. But if your cards sent by mail or given out by hand, a horizontal design might make more sense. Horizontal greeting cards can also be stood up while hiding the inside content, which makes this orientation a good choice for giving out at events such as dinners and fundraisers. This applies for other materials as well. Create a couple of greeting card studies before you send in your card for printing. Make sure the designs all follow the same theme, but aren’t too similar. 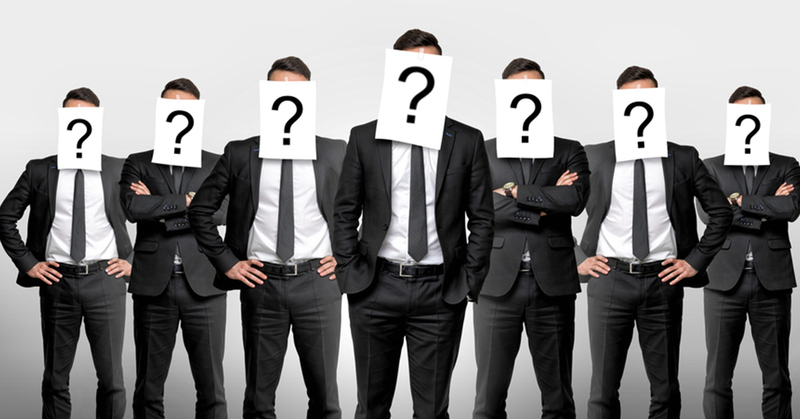 This will force you to delve deeper into what you know about your customers, and help you develop a deeper understanding of them. 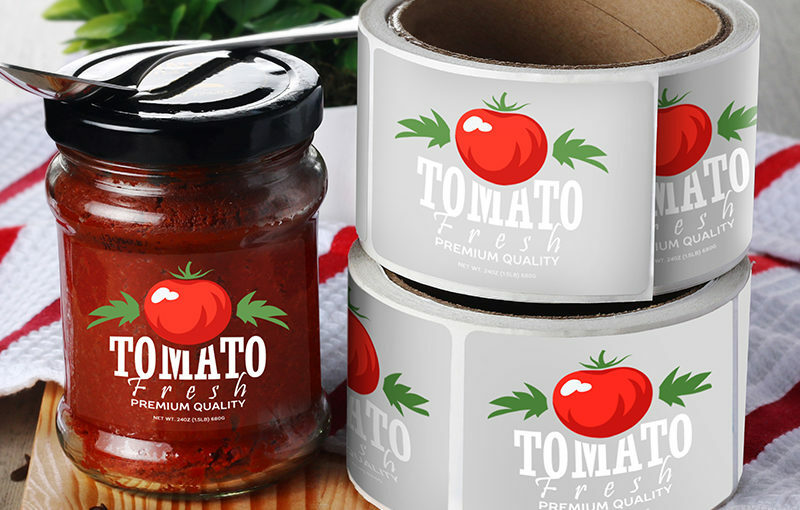 When a greeting design is selected, you can then use your learnings to further improve future versions of the design and other print materials as well. You can always keep the other designs around for next year. 7.) Be sensitive when illustrating people. The context of your illustrations matters, especially in the socially and politically-aware times we live in. Sometimes even a well-intentioned illustration can be misread. In many instances, less objectionable illustrations of themes, fantasy creatures, animals, and objects can more than suffice. If you need to illustrate a person, be sure that the recipients can relate. 8.) Avoid gender-specific designs unless you specifically intend it. 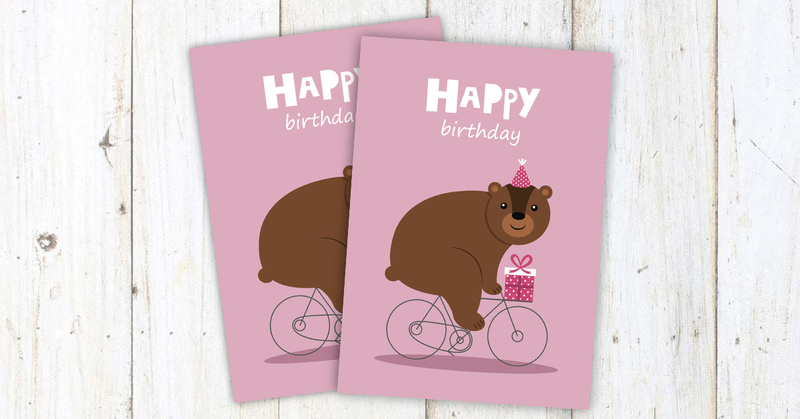 When you design your own greeting card, gender-specific themes should be thoroughly considered. This isn’t just for the sake of political correctness, but to avoid possibly missing out on a wider audience. If you intend to appeal to a specific gender, make sure you thoroughly understand that market before proceeding with your design. 9.) Try a greeting card template. 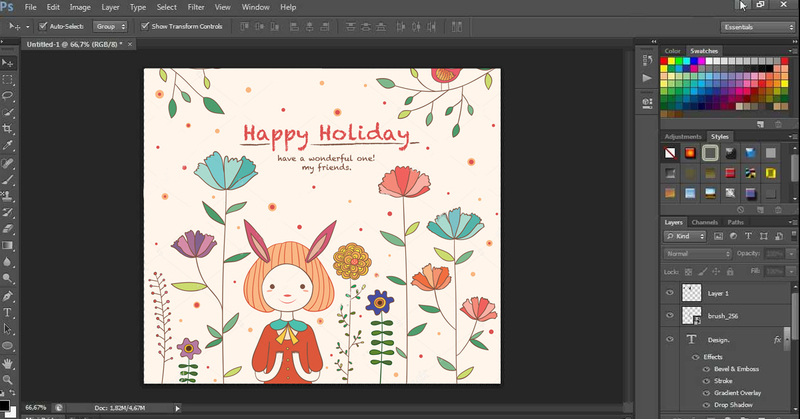 Making your own greeting card design can be much easier than you expect. This is even more true when you use a greeting card template. Using a template for your design can help you figure out which layouts and formats are suited for your needs. Templates make it easy to account for bleed and trim lines as well, allowing you to accurately place your artwork in the safe zone, which give the finished card a professional appearance. 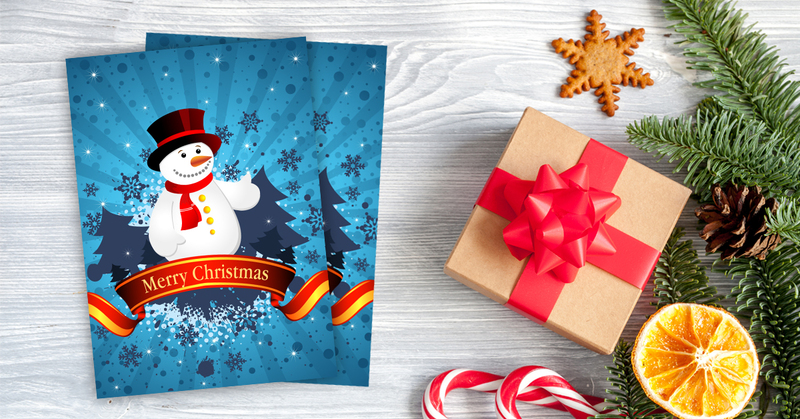 You might have noticed that mainstream holiday greeting cards don’t always have religious icons in their designs, even when they’re intended for a “religious” holiday such as Christmas or Hanukkah. Conversely, you might also find that cards with a more religious bent often exclude secular images and references such as Christmas trees, Santa Claus, and snowmen. There is nothing preventing you from creating a greeting card design that intentionally blends these elements. 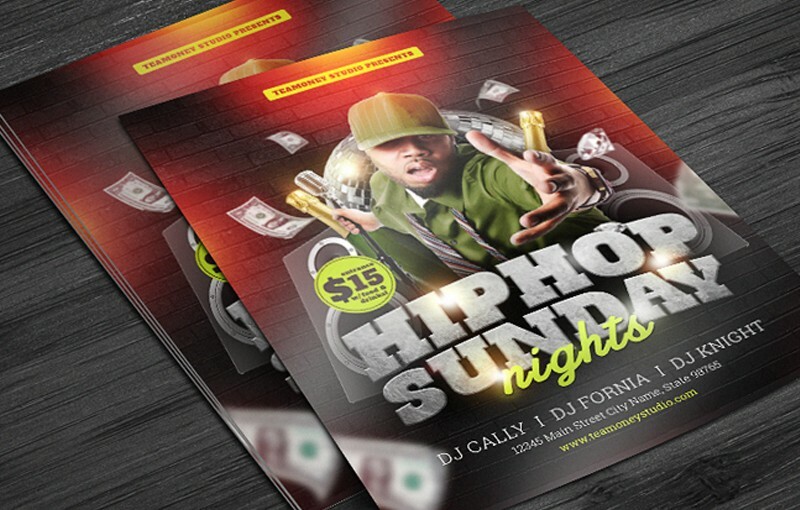 Make sure you really have a good reason for crossovers before you send your design off to print. 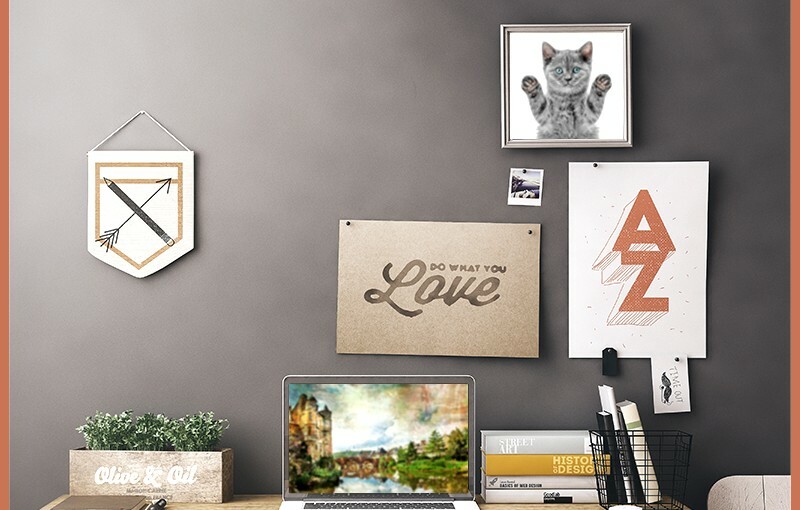 Ask your coworkers, friends, and family for their thoughts on your greeting card design. Without telling them what the card is for, ask them for their opinions. If they don’t “get it” right away, you might want to redo your greeting card design. 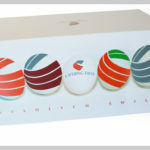 Get started with greeting card printing today.